In this video, watch me unmold my thirty pound, four wick great big candle in tropical colors and fragrances. This candle is available for sale! Send me a message if you’re interested in buying, and watch for it in the Great Big Candle shop! info@mdesignboutique.com for inquiries. Ten Inch Diameter Mold Just Arrived! Check out the new mold! 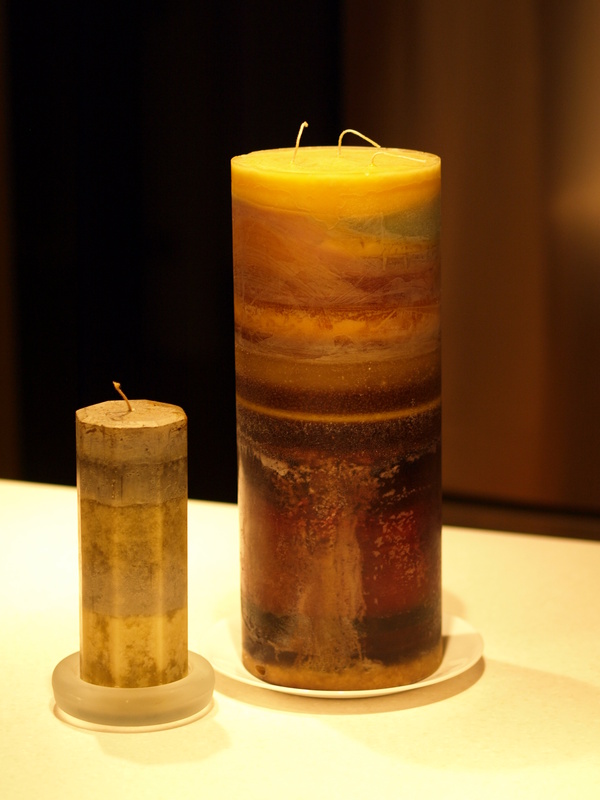 This is a quick snapshot of the Ten Inch Diameter mold next to two other Great Big Candles. 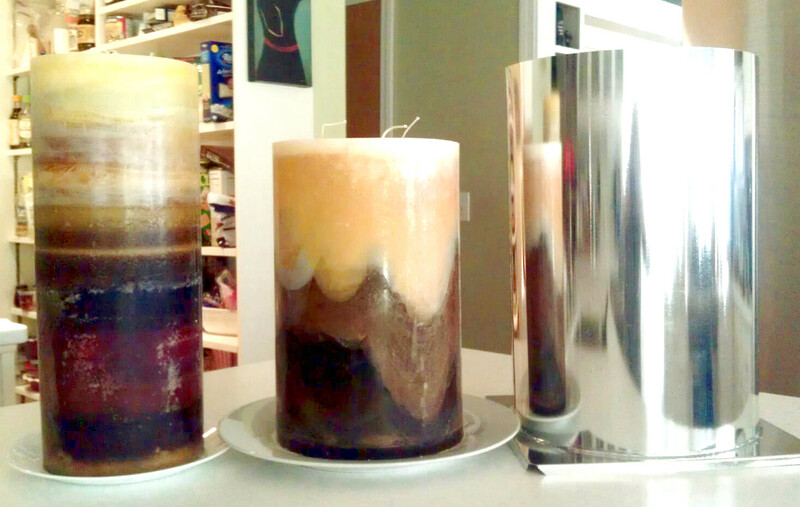 Left: 6″ diameter x 15″ tall 3-wick GBC, Middle: 7.5″ diameter x 12″ tall 3-wick GBC. 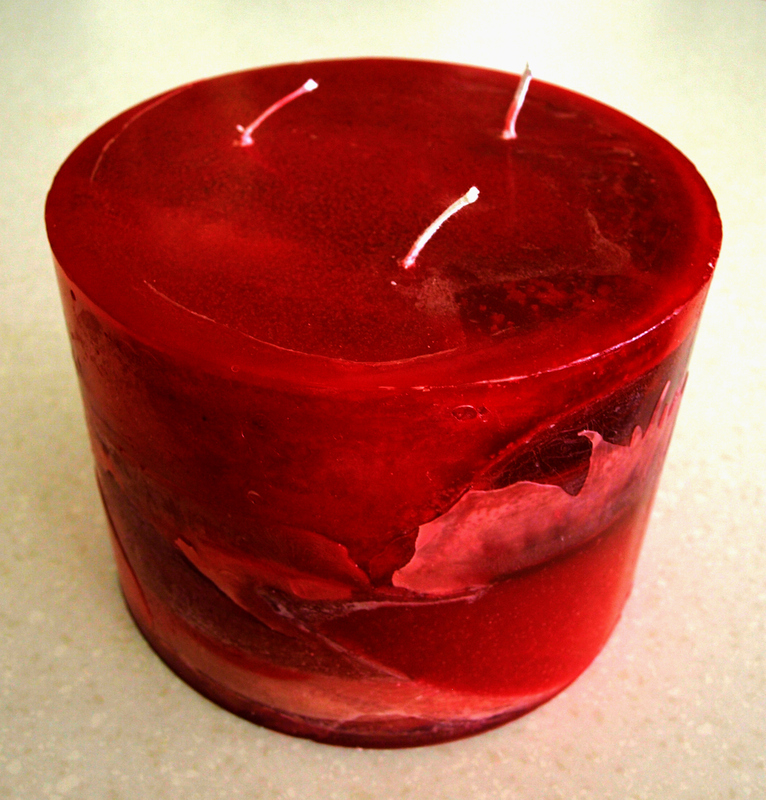 The new mold is also 15″ tall and is the first 4-wick Great Big Candle! I will be making this candle over the next several days, and unmolding it on-camera for my YouTube Channel next week! Tropical fragrances with lots of bright pretty colors! Great Big Candles, by M Design Boutique! 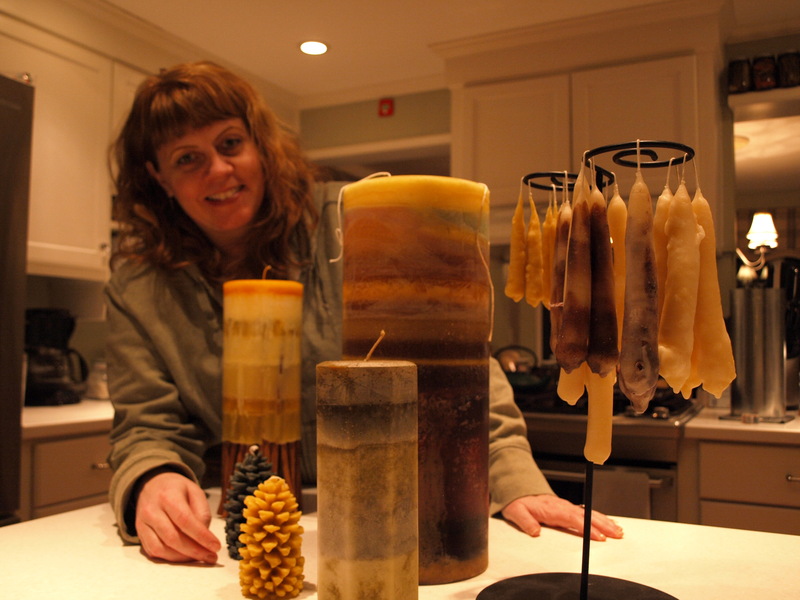 Great Big Candles are made by Melissa Machowski (that’s me!) and originated in M Design Boutique. If you’d like to learn more about M Design Boutique’s wide array of candles, event favors and luxury handmade bath and body products, Click here! Left side is a standard pillar candle. Right side is the smallest Great Big Candle! Watch Me Unmold A Great Big Candle! Welcome to Great Big Candles! This is the place to find GREAT BIG CANDLES! I take custom requests for any size giant candle. I make candles of unusual sizes! Please email me at info@mdesignboutique.com for a custom quote. Candles are available in any diameter and height. You pick color/s, you pick fragrance/s. I make your Great Big Candle!